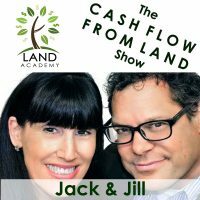 Steven Butala: Today, Jill and I talk about the three moving parts of a successful business. True to form, she has three and I have three, and I bet they’re very, very different. Jill DeWit: This is gonna be fun. 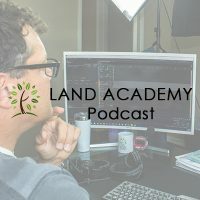 Steven Butala: Before we get into it, though, let’s take a question posted by one of the members, one of our members on the landinvestors.com online community. It’s free, and as you’re listening to us, please drop your questions into the comment section on Land Investors. Steven Butala: I love his attitude about this. Flat-out says, right from the beginning, “I want to set this up right. I’m taking responsibility for it, and I want to make it easier for the customers and the sellers and the buyers. I’ll adjust to them.” So that right there is massive. You’re totally separating yourself from most people with that attitude. That said, yes. No one wants, gonna mail anything to Canada. Steven Butala: I just don’t know why. I wouldn’t personally have a problem. I would probably think about it, and maybe not do it, but … Or maybe do it. But your gut reaction is correct. Get a mailbox. We have a mailbox in Arizona, and the guy that owns the mailbox company, the little store, he packs all of our stuff up once or twice a week and sends it to wherever we are in the country, and we manage it from there. Or we send it to one of our company offices in another state other than Arizona, and they process it, and get us the stuff that we … You know. They take out the catalogs and junk mail, and get us the stuff that we actually need. Steven Butala: There’s also processors that will scan everything and send it to you. So, you want to do that with it. And you want to get a phone number, same thing. Basically make it look like, to the world and on the Internet, that you are living in Colorado or whatever. Wherever you determine that works for you. Jill DeWit: Mm-hmm (affirmative). And then, keep it … Whatever you pick, make it easy, make it inexpensive, make sure they’ve been around for a long time, and keep it forever. Steven Butala: Along these international lines, not many people know this, but I was talking to somebody recently about it, and it’s something that everybody should be aware of. If you own a piece of real estate, a county sends you a tax bill once or twice a year, depending on the certain situation. But they’re not required to do that by law. Counties are not required to reach out to you and make it easy for you to stick a check in an envelope, or go online with a credit or debit card and pay your taxes. They’re just doing that to get a higher payment percentage yield. Steven Butala: I will tell you, all the people I’ve ever talked to that work at counties or handle this kind of stuff do not send international mail. They’ll send all the tax bills out, and what if there’s a Canadian address? And almost always, it’s for this reason … The automated system that they’re on doesn’t handle those types of zip codes, or it doesn’t handle how international addresses are structured differently. So when you start to buy property, I would heavily recommend you use that American address, so you can get tax bills and stay on top of stuff. Jill DeWit: Good point, too. Thank you. Steven Butala: Today’s topic? The three moving parts of a successful business. This is the meat of the show. Jill, let’s go with you first. What are the three successful moving parts? Jill DeWit: Okay. You want me to list all three in order? Steven Butala: Whatever you want to do. Jill DeWit: Okay. I’ll list all three, and then you can see what works for you, what applies to you, and we can talk about them. So, my three moving parts of a successful business are, number one, a clear, overall vision. Number two, a smooth, self-sustaining operation, i.e., they solve their own problems. Steven Butala: Hey, our number twos are right. Steven Butala: Are the same, I mean. Jill DeWit: That’s good. And number three is, growth and scalability by increasing efficiency. Jill DeWit: Do you like that? Steven Butala: I do. God, you’re smart. Jill DeWit: Thank you. Did I get an A? Jill DeWit: Oh. Didn’t get an A.
Steven Butala: You’re 50% of this. You can grade yourself here. Jill DeWit: Well, I’m giving myself an A.
Steven Butala: What’s good is that you actually took this concept to a different place. Like, I didn’t. Steven Butala: The three moving parts, I’m thinking about like a machine, and what are the actual moving parts of a business that need to make it go? Yours is more of an academic, philosophical, and so it’s good. Jill DeWit: Thank you. So what are yours? Steven Butala: My number one, the number one moving part that every business needs … And this is where I think most businesses fail. It’s the number one part … is a startup type entrepreneur, weirdo free thinker, way out there personality, which is usually me. That’s my role in all this. You know, you dream up a podcast. Everybody can say, “Oh, I want to do a podcast,” and then not everybody can say that 800, 900 shows later. Steven Butala: And then, it doesn’t end there. It’s not like … People like this don’t just dream up one, dream up Uber, for example, and just say, “Oh, okay. I’m done. I’m gonna go sit on the beach.” Young people think that. Steven Butala: “This has worked out for me.” I can guarantee that he’s angry right now about something. Something’s not working right. He’s trying to start a new website or buy a company, and it’s just not going the way he wants. And, you know. It killed Steve Jobs, that attitude times 80. So, you’ve gotta have that free-thinking weirdo out front, blazing the trail. Steven Butala: And then, our number twos are exactly the same. You have to have an operations … This is moving parts, now … An operations person that is basically bulletproof. Jill DeWit: That’s the hardest part. Steven Butala: I agree. It is for us, Jill, because we’re not operations people. And through my career, all the way through my career I have had so many false, silly conversations with people that call themselves operations people, and they’re not at all. Real operations people are so detail-oriented that it makes you nauseous. Steven Butala: That they just, they obsess on stuff. Steven Butala: We’re very fortunate to have a real operations person right now. She is just, she’s kooks about just making sure everything gets done. Steven Butala: It’s a very hard position to fill. And it’s mostly because people think they are operations people, but they’re not. Steven Butala: I wonder where that comes from. Jill DeWit: I do not know. It’s not glamorous. Steven Butala: Yeah, it’s not. Jill DeWit: It’s hard. It’s hard work. Steven Butala: It’s a lot of hours. It’s basically a lot of problem-solving. Jill DeWit: It’s kind of like the buck stops with you. Steven Butala: And systems person. Jill DeWit: Right. It’s hard. Steven Butala: Now, with IT … Like, you know, I’m old enough where there were companies without computers. And strangely enough, it was a lot easier. Jill DeWit: I think because they have to, you have to wear so many different hats. You have to be able to jump in. You have to create solutions, make things work better. You gotta really think about from staff, to IT. You gotta have a budgeting, finance part. You have to have your hand in a little bit of everything. And you have to be able to solve problems when they arise, and maybe your team doesn’t … Maybe you have a set, let’s just say marketing team, for example. And maybe their numbers are not, they’re not hitting their numbers as they should, let’s just say. And now it’s gonna fall on you, because they kind of report to you, to get them back going. So you gotta quickly be on your feet, and put yourself in the marketing position for a little bit, and get them back where they need to go. It’s hard. Jill DeWit: It’s a lot of work. Steven Butala: And then the third one is people to get the work done. Steven Butala: In an ideal, perfect world, that’s where you start. Because you don’t have any experience, and then you move up the ladder. And you’ll find out pretty fast where you fit. Like, in your early thirties, you should know if you are an operations person or if you’re a weirdo free thinker, or if you just want to sit there and work. There’s nothing wrong with it. All three of them are really, really necessary. Jill DeWit: I think that one of the common things in all of these parts that we’re talking about is a vision that needs to be defined, and written down, and clear. For example, one of the things that you do, Steven, that’s so good, is you have spreadsheets for many … You’ve created spreadsheets for many different roles and tasks, and everything in our business, so everybody kind of knows what should be happening. For example, monetary goals. Steven Butala: I want to hear this, too. Jill DeWit: Reach goals. Advertising goals. Jill DeWit: Our YouTube show. A daily YouTube show. I mean, we don’t just sit down and go, “Yeah, let’s do another one today.” Could you imagine if we woke up and go, “I feel like it. Do you feel like it?” “Yeah, that … ” For the last 800-and however many days, it was like, “Yeah, you know what? I feel like doing it again.” No. Steven Butala: For the last 827 days, Jill and I have actually woken up and we felt like doing the show. Steven Butala: It was our number one priority. Steven Butala: I can honestly say probably … I know the number’s different for you, but probably 85%, maybe 90%. Jill DeWit: Done, or not done? Steven Butala: That I was sitting down thinking about it and doing it, the number is like … What’s your number? Steven Butala: It’s like 10%. Steven Butala: You know, listener … If you’ve ever been in a relationship with somebody who wants to be there 30% of the time, that’s what this show is like. Jill DeWit: Like yesterday’s show? When I checked out at about eight minutes in? Steven Butala: I gave myself a show yesterday. Steven Butala: I let myself go. Steven Butala: Yeah. Take a break. Jill DeWit: “Yeah, it’s all right. We just can’t do this.” No. Jill DeWit: You gotta keep it moving. Steven Butala: Nothing gets done that way. Jill DeWit: So, you have to have clear, spelled-out goals, and you gotta show up. Steven Butala: That’s it. It’s not even a feeling. That’s a task in a calendar. Jill DeWit: It’s things like that. We know we’re doing it, and we still do it anyway. Jill DeWit: And then we wonder why we’re not successful. Jill DeWit: So, there we go. And then in grow, I think … What was your third one? The operations? Steven Butala: Someone’s gotta do the work. Jill DeWit: Oh, yeah. That’s true. And I think not only do they have to do the work, they need to try to one-up themselves all the time. Like, I need to get better at it. I don’t need to get worse at it, and I don’t want to stay the same at it. I need to get better at it all the time. And there’s no reason why I can’t be. Now, you could and should be a posting machine. You could and should be spending less time creating systems as you solve little problems. And every time there’s a mistake, you know what you did wrong. You adjust. Don’t make that mistake again. Steven Butala: You just have to have a system, where it’s checklist. Steven Butala: When a property comes in, these things happen, and it just gets shoved back out. Steven Butala: If your role is my role … And these are the people who start companies, by the way … The people who start companies are the last people who should be running them. Steven Butala: And that’s just, it’s been that way since the beginning of time. Steven Butala: Yet, people, especially ground-up entrepreneurs like we are, don’t accept that. Steven Butala: At least half the people that I’ve met are of the mentality that if you want something done right, do it yourself. And that only ends in a firey ball of tragedy. It ends with your face in your hands crying, because you’re not an operations person. You should be out starting another company, or diversifying the product types of the company that’s already successful, once it hits a certain milestone. Steven Butala: I don’t know why people … I do know why people. Because they won’t stop, you know? They’re machines. They’re not emotional. And people are trying to be a machine, and get the stuff done. But the best thing you can do, if you really want to succeed at this or anything else, is put the right people in place. And I don’t mean right … In the beginning. You need to do it in the beginning, to find out that you can’t stand it. Jill DeWit: What the right people are. Steven Butala: Well, to find out you can’t … If I was responsible for posting property to sell, this company would have failed 10 years ago. Maybe more. Probably 15 years ago. If I left it to an operations person to decide whether or not to do an acquisition once it came in, the company would have failed. You have to find those pressure points, and be honest with yourself. Steven Butala: If I was responsible for doing IT, and I was for a year … The company almost failed. Like yesterday, what was this called? The truth? Just telling the truth. Jill DeWit: Yup. Why the truth works. Steven Butala: Why the truth works. Two days ago, I think it was. Steven Butala: Why the truth works. You know, you have to be real honest about that stuff. The flip side is you can’t go into it and say, “All right. I’m gonna put … I’m too good for that job.” You can’t say that. You just gotta get stuff done when it needs to get done, but the whole time be planning for replacing that task, or outsourcing it or whatever. It’s never been easier to do this stuff, by the way, with the Internet. You know, we have department heads that are all profit centers in our company, that all have workers in the Philippines that report to them, full-time people. A department head or a manager should never be doing actual work, and we struggle with that as managers. Jill and I really struggle with that. Having our managers do too much work, and not enough overseeing of work. It’s inefficient. Steven Butala: That only ends one way, too. Steven Butala: That’s Jill’s silent cue for me to end it. Well, you’ve done it again. You’ve spent another 15 minutes or so listening to the Land Academy Show. Join us next time, where we discuss establishing trust. Jill DeWit: And, answer your questions posted on our online community, landinvestors.com. It’s free. Steven Butala: You’re not alone in your real estate ambition … I can’t decide if I’m actually providing value here, or just kind of spouting off. Jill DeWit: You’re venting this week. Steven Butala: How bad is it? Jill DeWit: It’s not bad. You know what? This is apparently … I know you call this business week. This is really speaking the truth week. Steven Butala: Is that what this week is? Jill DeWit: It’s the truth by us bee, because you just did a whole segment on that last weekend. This is more of the truth by us bee, and it’s not a bad thing. It’s a good thing. Share the fun by hitting the subscribe button on YouTube to stay up to date on our podcast. Or if you are new to our channel, please like us and comment on what you’d like to see in future shows. And if you’re listening on iTunes, please rate us there. We are Steve and Jill.